The perfect cookbook for all kinds of eaters. In theory, writing a cookbook round-up sounds like a lot of fun. One gets to pore through beautiful pages and recipes. But this year especially, there were so many cookbooks we wanted to include, that this ended up being a huge task. If we could, this list would probably have dozens more books on it. But at some point, we had to cap the list. While we stand by these recommendations, we admit this is far from exhaustive and there are many other great cookbooks out there that we did not include. But if you're still looking for a gift for yourself or others, we hopefully captured a range of cookbooks for all kind of eaters. May your holiday season be filled with good friends, family, and most of all, good food. If you've had the opportunity to eat Andy Ricker's food in New York or Portland, then you probably don't need much convincing to buy this book. We love his introductory missive: "To begin, let me acknowledge my two seemingly conflicting tasks: dispensing with the myths that keep people from making Thai food at home in the first place but also recognizing the effort it entails. You shouldn't be dissuaded by the nonsense, but you should know exactly what you're getting into." And what are you getting into? 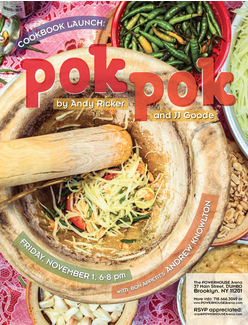 A guide to regional Thai food intermixed with some of Ricker's personal stories traveling throughout the region. It's an extremely well-organized book. You'll never have a more compelling reason to finally buy a good mortar and pestle. We admit it -- sometimes we skip some of a cookbook's text and just focus on the recipes. This would be a big mistake in the case of L.A. Son. 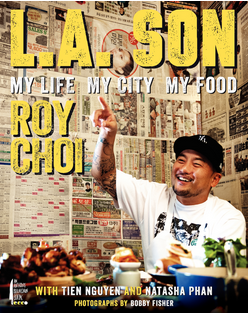 While Roy Choi might be a household name now for anyone that has heard the phrase "Korean tacos," his path to food truck (and now brick-and-mortar) fame was not an easy one. In the cookbook, Choi is candid about his past drug use and gambling addiction. He offers context for why food matters so much to him, and how it was something he always came back to, even when life was not so great. The voice, tone and design of this cookbook sets it apart from the pack -- something we're guessing Anthony Bourdain had a say in. Oh, and the recipes are pretty awesome too. Word to the wise: a lot of them sound like they might taste best after a few beers (i.e. ketchup fried rice). Pie can be scary. 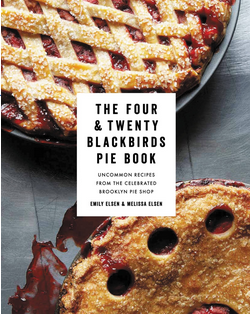 The sisters behind Brooklyn's beloved Four & Twenty Blackbirds bakery want to calm your fears. They guide the reader through all the necessary steps one needs to know to make the perfect dessert. Through their straightforward description of ingredients and equipment, the Elsens effortlessly explain why pie can be so amazing. And, their recipes are fun, creative and seasonal -- who could say no to a slice of chamomile buttermilk custard pie? Are you likely to cook many of the recipes from this stunningly-photographed book? No. These are time- and ingredient-intensive affairs. But can you easily spend a few hours combining through the pages? Absolutely. Leave this one on you coffee table -- it's the perfect book to keep weekend guests gleefully occupied when you have to run a quick errand And, if you're feeling courageous, we recommend trying some of the recipes in stages. Most have several components, so if you're intimidated about the whole dish, try making it in parts. Honorable Mention: Classico e Moderno by Michael White and Andrew Friedman: Some of the best pastas in New York are made by Michael White's hands. This book won't steer you wrong. If you still conjure up images of mushy boiled vegetables when someone says the words "vegetarian food," then you are way behind the times. Need proof? 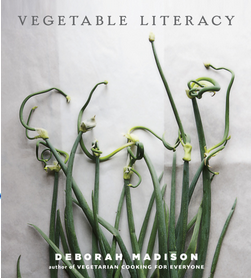 Deborah Madison's stunning cookbook, with photos from the team behind the always-beautiful Canal House series. The book offers 300 recipes, divided into 12 vegetable families. In each of the 12 chapters, Madison suggests good companions for each vegetable (i.e. parsley sauce with fennel) and offers suggestions for how to use the whole plant (i.e. how to use carrot tops in soup). It's rare that a master will just share the secrets of his craft with the world, but that is exactly what ramen spirit-guide Ivan Orkin has done in this cookbook. From rye noodles to the hidden wonders of chicken fat to how to jam as much flavor as possible into a broth, this cookbook will up your ramen game about 500 percent. Also, if you've ever had any trouble soft-boiling eggs, kiss those troubles goodbye, because this book lays out the perfect formula. 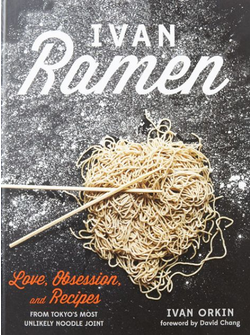 A must for anyone who's ever wanted to try their hand at homemade ramen. Planning to serve a baller Christmas dinner this year? Then let this book be your spirit guide. Shaw, the popular blogger behind Hunter Angler Gardener Cook is an avid hunter and cook. 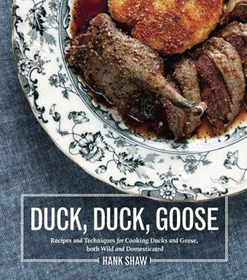 His second cookbook provides recipes for the expert waterfowl chef (duck sausages), and the beginner (duck fried rice). If anything, Shaw proves that dinner can be way more than boneless, skinless chicken breasts. This is the kind of cookbook that almost doesn't feel like it came out this year. It feels like it has been sitting on your shelf for years -- the perfect dinner party reference. It's food that's accessible, but also a little bit fancy. It offers the kind of dishes that will impress your guests, but you don't have to spend three days preparing. 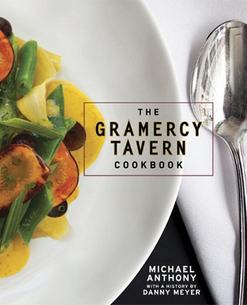 The book also does a good job with convincing readers that they absolutely must reserve a table at Gramercy Tavern, thanks to the various essays about long-term staff members and other integral people that have made the restaurant a success. It's an instant classic, not so much because it pushes food in a new direction but rather because it's the food you want to be eating. Honorable Mention: Cooking From The Heart by John Besh: On a cold winter night, we want to make nearly everything from Besh's third cookbook. When one hears the term "California cuisine," perhaps the names Alice Waters or the late Judy Rodgers come to mind. David Kinch also deserves a spot on that altar. Manresa, which opened in 2002, sources nearly all of its ingredients from nearby Love Apple Farms and is consistently ranked as one of the best restaurants in the Bay area. 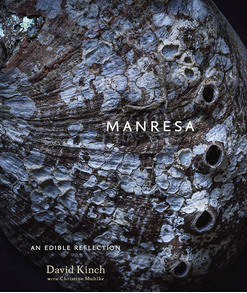 Kinch's book celebrates the beauty of California's bounty through (challenging) recipes, gorgeous photographs and even artwork from printmaker Tom Killion. Honorable Mention: Coi by Daniel Patterson: Patterson's food is difficult to re-create at home, but gosh those photos are pretty. Been to one too many dinner parties featuring Jerusalem recipes but haven't quite had enough of Ottolenghi and Tamimi? 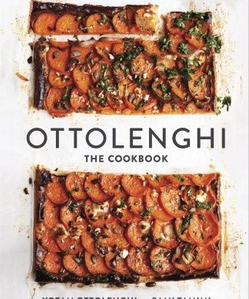 Then try Ottolenghi instead. This book was originally published in 2008 in the U.K. but was re-released in the States this year thanks to the growing hubbub about this duo's food. While the photographs leave a bit to be desired, the recipes more than compensate. They are healthy, varied and just a little bit messy, in a good way. Honorable Mention: Balaboosta by Einat Admony: Bold Mediterranean recipes from a much-loved New York restaurant. 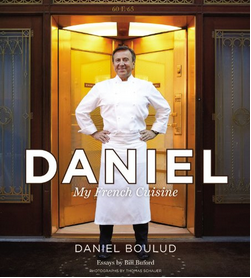 If you think French cooking is nothing but snooty, read this book. 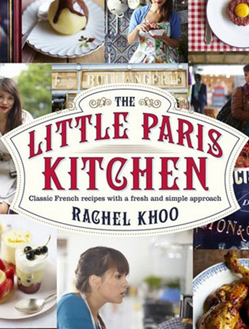 Though the author Khoo is a young cook, she's an old soul who has embraced and mastered the art of French home cooking. From simple dishes like omelettes and pain perdu to more showy endeavors such as millefeuille, every recipe is beautifully inspiring but also completely approachable. It's the kind of book that makes you want to drop everything and move to Paris. John Currence has been the chef of City Grocery in Oxford, Miss. since 1992. So it's about time he wrote a cookbook. Currence honors his Southern culinary heritage well in his book, while also offering unexpected recipes like Deep South "ramen" with fried poached eggs. Surprisingly enough, we were especially drawn to the desserts. We could go for some pork fat beignets with bourbon caramel about now. Or anytime, really. 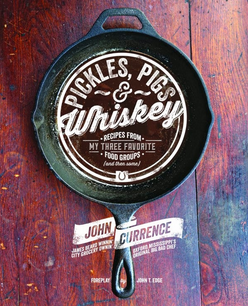 Honorable Mention: Smoke & Pickles by Edward Lee: Think Southern and Asian food don't belong together? Well, you're wrong. Many of the books on this list feature really incredible photos, which made us enjoy the cookbooks even more. Sauces & Shapes barely has any. But that doesn't detract us from loving this book. A follow-up to the Encyclopedia Of Pasta, this is a fabulous reference guide to the many kinds of sauces that taste great with pasta. 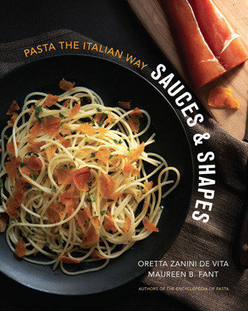 The book is divided into two parts -- sauce recipes and pasta recipes. Each sauce recipe includes recommendations for what kind of pasta it is best served with. Think of this as the modern Italian version of Escoffier -- but a lot more accessible. The cupcakes from Robicelli's bakery are the real deal. The husband-and-wife team knows that dumping a ton of sugar in the batter and using too much frosting does not a good cupcake make. Instead, they make a cupcake like a cupcake should be made: with creativity and balance. 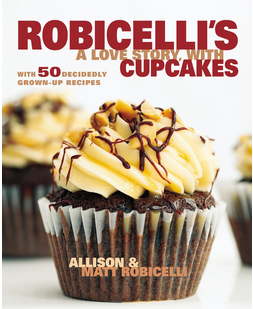 Plus, the Robicellis have a great sense of humor and are keenly self-aware -- the book's introduction includes a letter to cupcake haters and the acknowledgement that a reader might think, "Ugh. This is just what America needs -- another f*cking cupcake cookbook." Turns out, America did need another cupcake cookbook, we just didn't know it until cracking open this one. Frankly, we're not sure what to tell you about this book. It's hard to think of a cookbook that has been both so universally panned and loved. 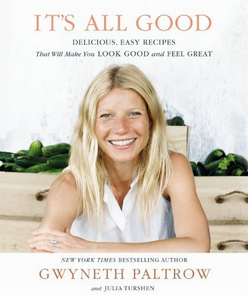 Are some of Paltrow's philosophies about eating a little ridiculous? Yes. But are these actually decent recipes? Also yes. Paltrow is a polarizing figure in the food world -- if you like what she has to say about veganaise and you don't mind some celebrity name-dropping, well, go for it.